Powerful 0.1 Hz VLF test system with energy recovery for testing of cables with Cosine Rectangular Wave voltage according to VDE, IEC and IEEE. In accordance with most regulations, cables and joints must be tested after installation or repair. The Seba KMT VLF Test System CR 60 kV can be used to test cables with operating voltage levels up to 36 kV. The system consists of a control unit and a HV unit. The high test capacity of 6.5 μF permits the simultaneous testing of all three phases. Positive and negative DC testing of cables and connected switchgear can be carried by DC Mode. 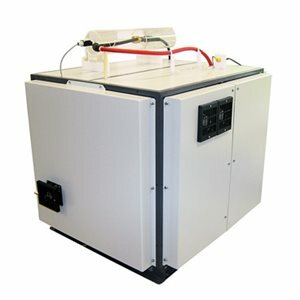 This VLF Test System CR 60 kV can be used both as a stand alone system and as integrated part of a test van system.